In December 2014 I got an early Christmas present from Dell. They shipped me the latest 40G and 10G S series (Force 10) switches so that I could begin to test, validate and document the integration and reference architectures between Dell Networking and Nutanix. 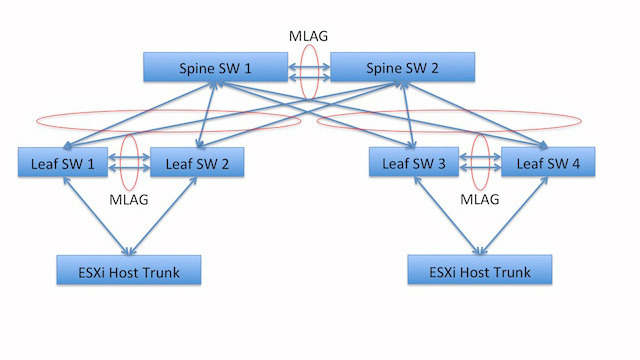 I’m starting with a L2 MLAG (Multi-chassis Link Aggregation Group) configuration and I will work my way through to a full ECMP (Equal Cost Multi-path) L3 configuration including VMware NSX. This will be a journey and I’ll include the different options and their key considerations, and configurations in the eventual white papers that Nutanix publishes. I’ve had a few weeks to configure them and do some initial testing (after the Christmas Holiday break), so I thought I’d write about what I’ve found so far. On the NSX front, you’ll be interested to know that Nutanix already has customers running NSX and that the platforms work extremely well together, as they both scale out linearly and predictably. But we’ll leave NSX specific discussion till another day. This article will contain some highlights without stealing the thunder of the white papers I’m working on.